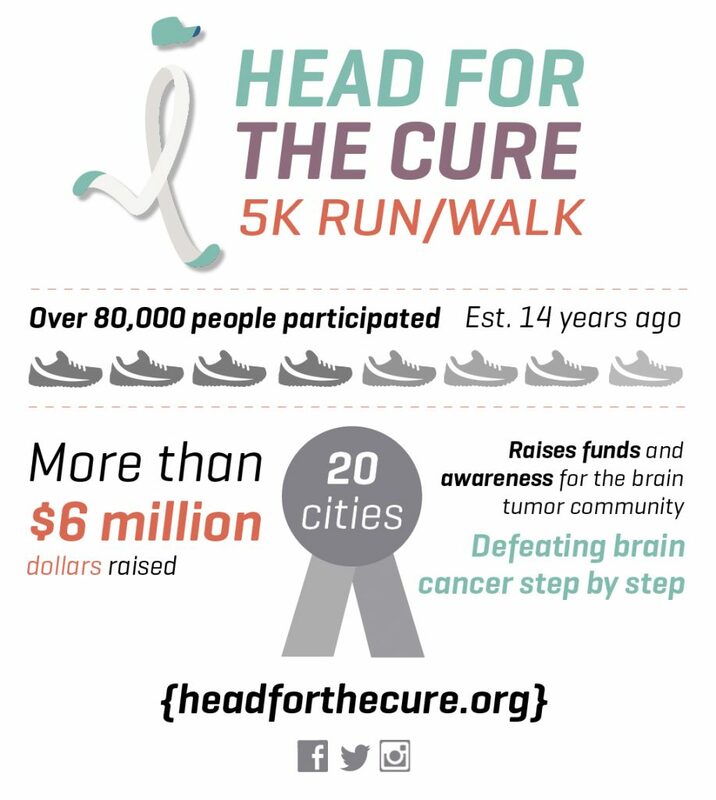 The Head for the Cure Foundation (HFTC) is committed to raising awareness and funds for the fight against brain cancer. In this video, Matt Anthony, Founder and Chairman of Head for the Cure, shares more information about the HFTC. HFTC’s mission is to inspire hope for the community of brain cancer patients, their families, friends, caregivers and other supporters, while celebrating their courage, spirit and energy. HFTC holds over 20 5K run/walk events throughout the U.S., with approximately 15,000 runners/walkers who participate each year. To date, the organization has raised more than $6 million to support brain cancer research. The primary beneficiary of the HFTC is the Brain Tumor Trials Collaborative (BTTC), a network of 23 institutions throughout the U.S., led by Dr. Mark Gilbert of the National Institutes of Health (NIH). Clinical trials are being conducted at these institutions to find better treatments for people with brain tumors.